We have handled them all over the years, and this is the best available on the market. Stock 14 x 5 Version. Rim is black, so trim ring is required-sold separately as part number HB5. 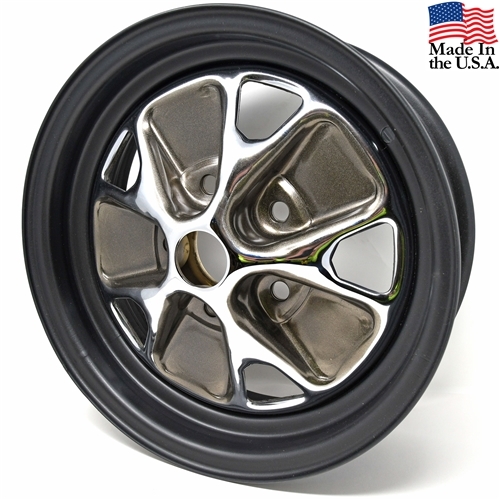 This wheel was originally installed as an option on 1966 Mustangs.